I have been thinking that I may make Fridays "Book Review Day." I can think of quite a few books I'd like to review, so we'll see how it goes. 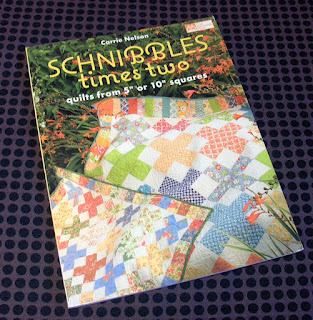 Today I am featuring Carrie Nelson's Schnibbles Times Two, quilts from 5" or 10" squares (Martingale & Company, 2010). 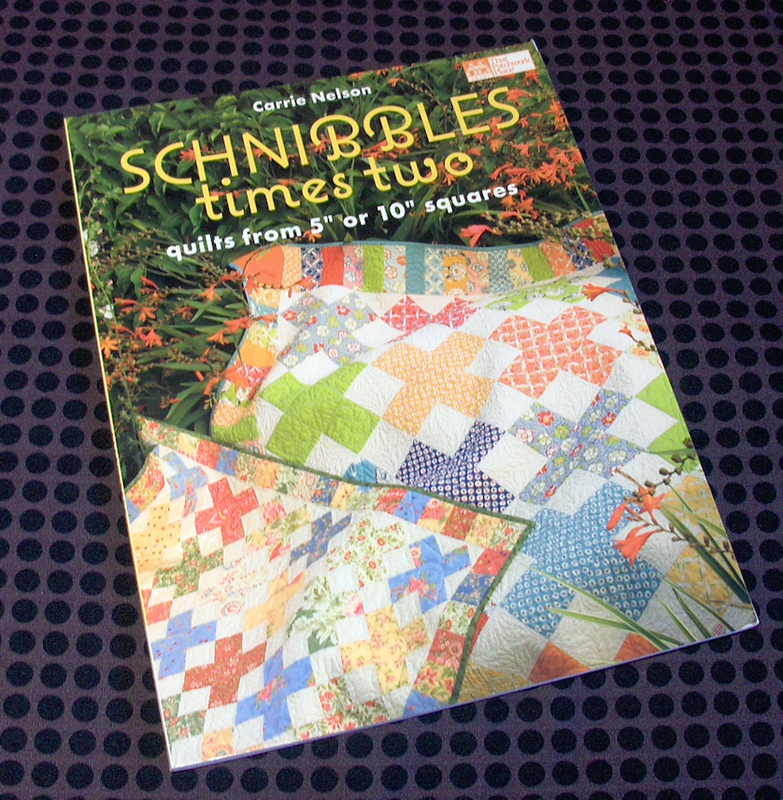 This is the first Schnibbles book, and I gather it has been so popular that she has done another. 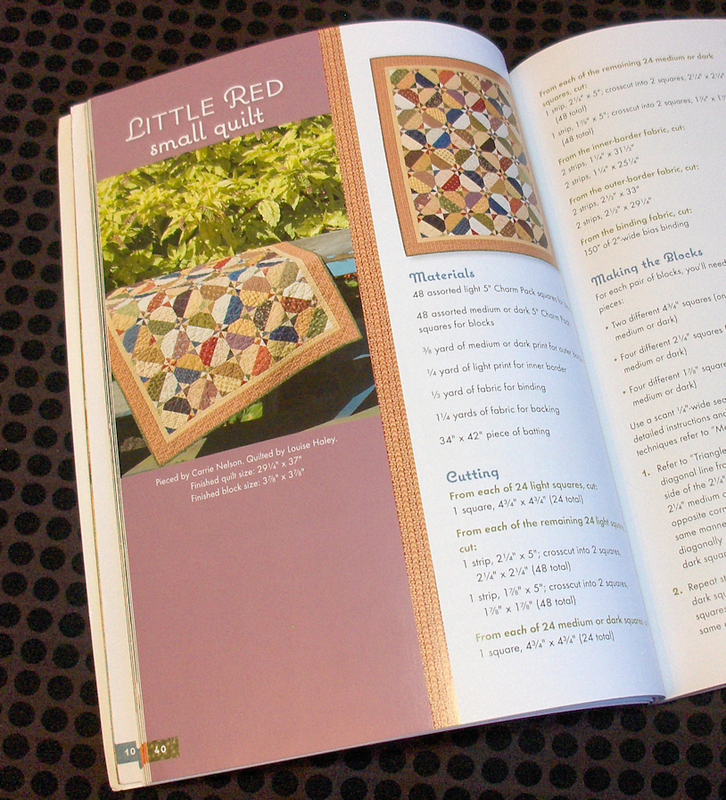 The premise is that the quilts can be made entirely from 5" and 10" precut squares, such as the Moda layer cakes. Sometimes yardage of the background fabric is also needed, as well as binding and backing. Each of the twelve designs is done twice, in two sizes, one for 5" squares and one for 10" squares. This also gives you two colourways of each quilt for inspiration. The small quilts are about 30" square, and the large ones are over 60" square. I am just realizing that almost all the quilts ARE square. I tend to prefer square quilts, so that may be part of the appeal for me. But there are many things I like about this book. The designs are simple and graphic, for the most part, and easy enough for a confident beginner. 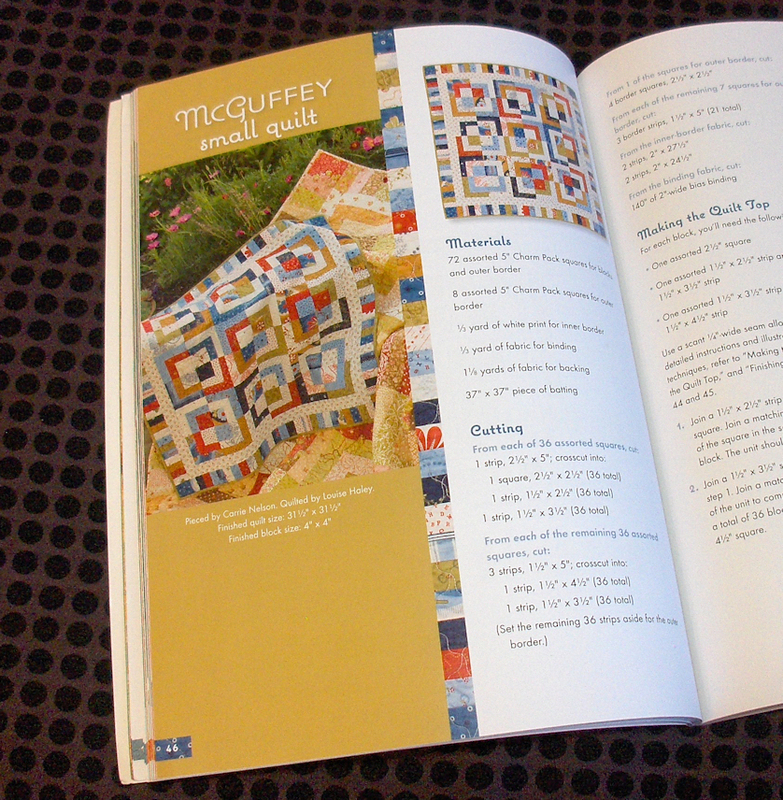 The rotary cutting and quick-piecing instructions are excellent, and the quilts will go together quickly. Special care is taken with ironing the seam allowances so that everything fits together perfectly. I did not use precut squares for Edward's quilt, and the great thing about this book is that you don't have to. You can certainly use yardage or fabric from your stash instead. They are great patterns for scraps. These are like half snowball blocks. The quick piecing instructions for this quilt are very clever, so I am keen to try it. I can see kind of a leaf pattern in there, and I think if I play it up with green fabrics and leafy quilting, it would make a great summer quilt for our living room. So, I highly recommend this book! 5 out of 5 stars.